With Metal Gear Solid V finally out and in the hands of thousands of fans worldwide, it’s time to face the more depressing side of its release. Hideo Kojima is saying goodbye to the franchise that defined his career – making him a familiar face to gamers far and wide. It had to come sometime, but the famed designer’s last words on the subject just make it so damned hard to let go. Although you wouldn’t say so in the first few minutes of this lengthy, final thank you to fans that he’s put together. Speaking to some of the other creative minds behind The Phantom Pain, Hideo’s last words feel a little self-indulgent. But it soon breaks, and you realise that all of these pieces, all of these elements combine into one singular thing. A game that is able to touch the lives of players in ways you couldn’t possibly imagine – just like Sean at the end of the video. Passing a few months before he could visit his home personally, Kojima describes how a letter sent from the terminally ill fan late last year spurred him and his team on during a tough crunching period. It touched Kojima so deeply that he felt the need to personally thank Sean for the motivation, sending the Metal Gear fan gifts ahead of his late visit. Although Sean never got to meet him in person, you can see just how much it meant to his family – and how much it meant to Kojima himself. And that to me just distills the beauty of videogames in general. They give us an out – a place to escape to if real life is sometimes a little to difficult to deal with. I get that connection on a very personal level, so seeing how Metal Gear Solid helped Sean through the toughest time a kid can possibly go through is heart-warming. A moment epitomised by Hideo Kojima acknowledging the fans that have allowed him to continue creating the games we crave so desperately to get lost in. 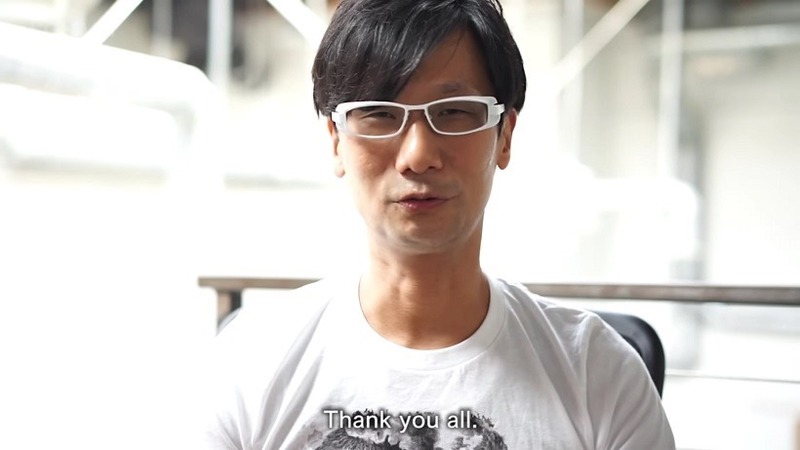 So no, thank you Kojima-san. Previous article Hail, the king that shall be, in this intense new trailer for MACBETH!